BICC Publications/Gender and Conflict in the Casamance (LOGiCA Dissemination Note No. 2). You are here: Home » Publications » Gender and Conflict in the Casamance (LOGiCA Dissemination Note No. 2). 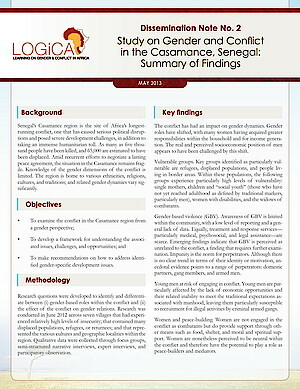 Gender and Conflict in the Casamance (LOGiCA Dissemination Note No. 2).